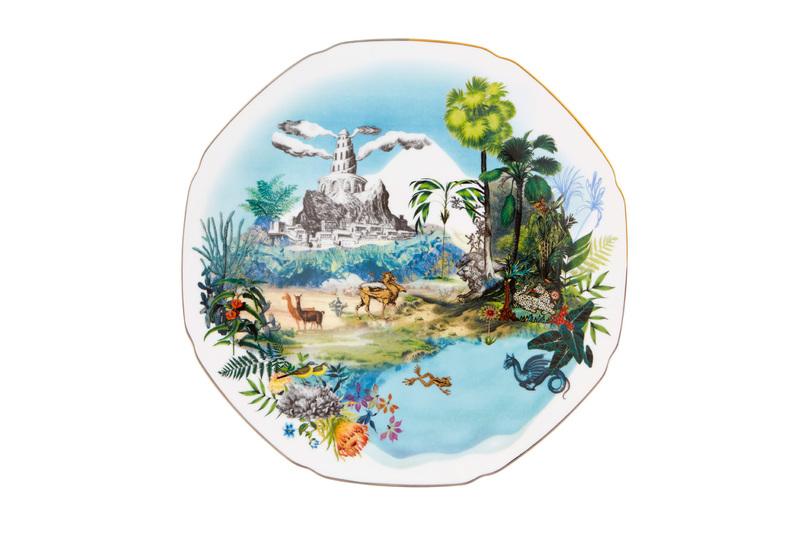 The Vista Alegre Rêveries tableware collection is a world of daydreams. 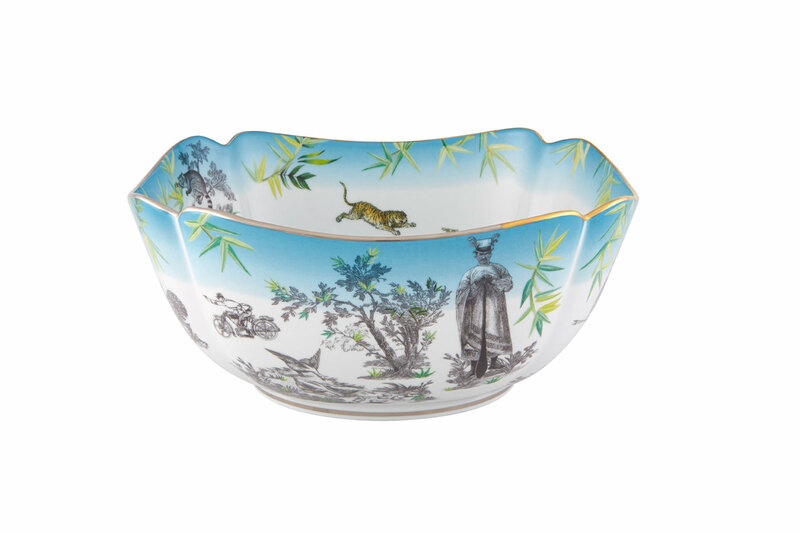 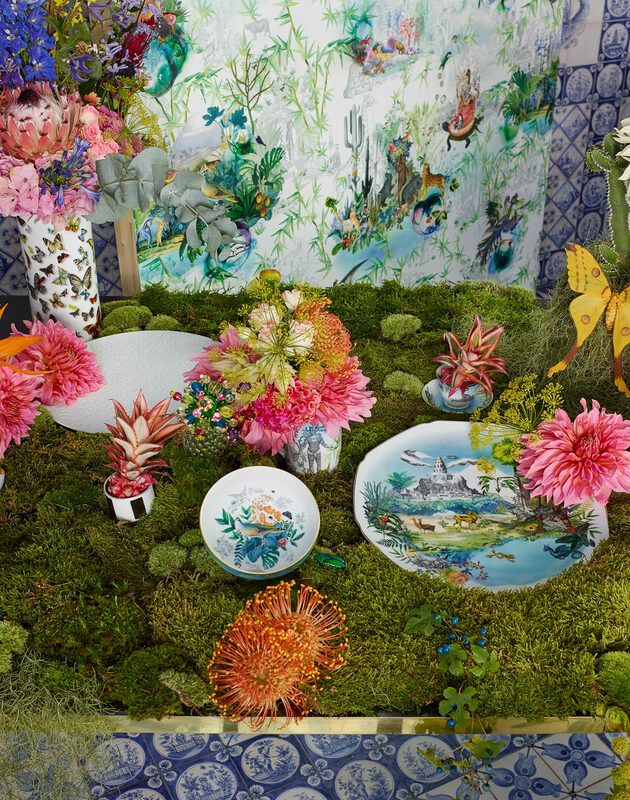 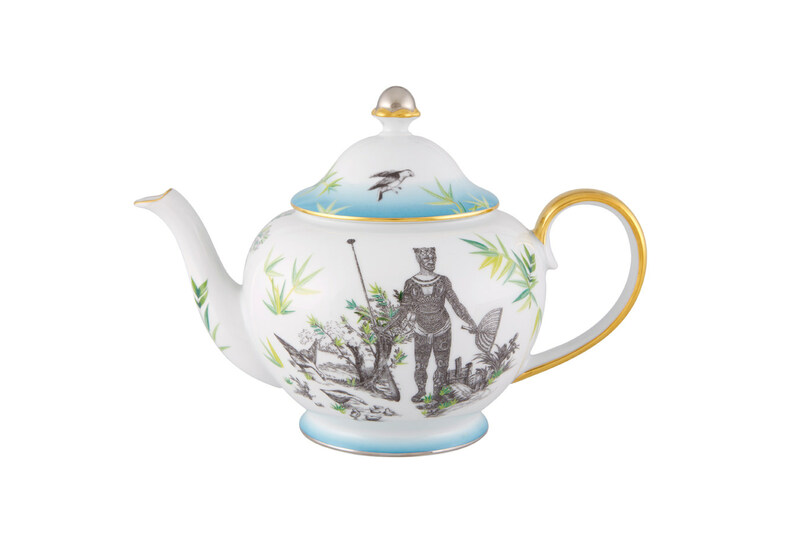 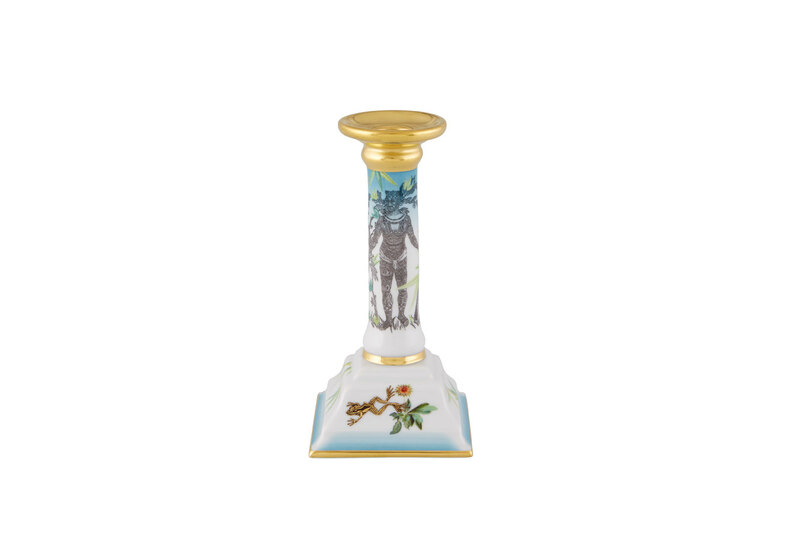 Of the sixth collaboration from the 193-year-old Portuguese porcelain and crystal company and Christian Lacroix, the French fashion house’s creative director, Sacha Walckhoff, says, “Rêveries is truly a fantasyland collection inspired by the enchanted stories that are in all cultures.” Salad bowls, teapots, and candlesticks depict amphibians swimming alongside chimeras while llamas and hippogriffs mingle, all set against the untamed greenery, ornate pagodas, and winding towers of Château de Groussay, west of Paris. 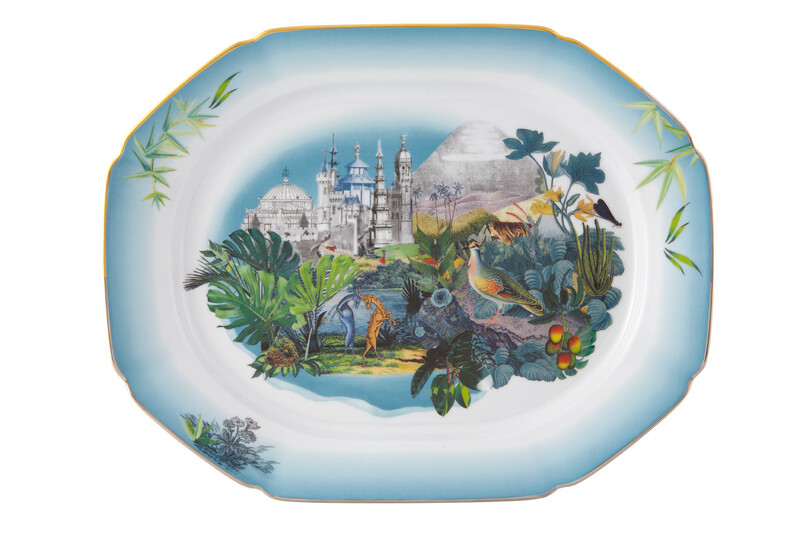 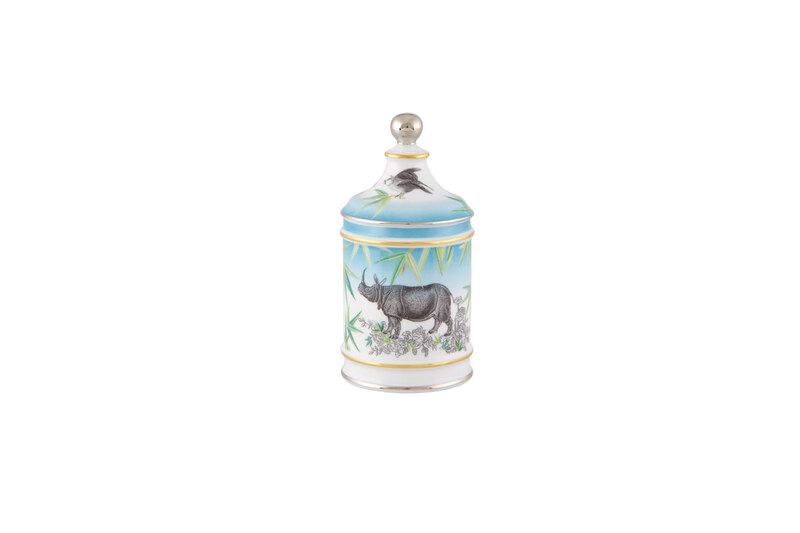 The 21-piece collection is certain to be a conversation starter around the dinner table.